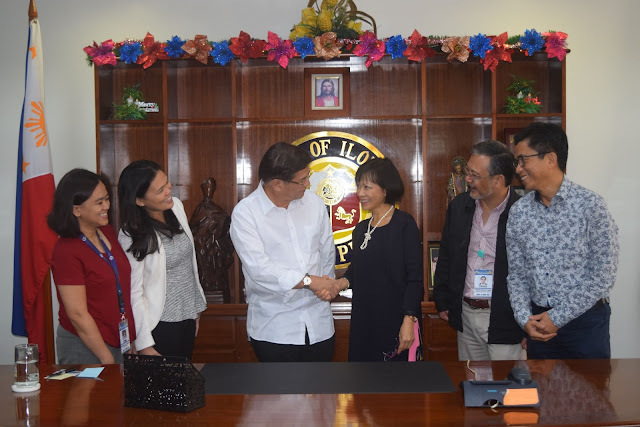 ILOILO CITY - On December 1, 2017, a milestone event happened in this city, the regional center of Western Visayas, when city mayor Jose Espinosa III received a group of visitors from Manila. What was supposed to be a mere courtesy call on the new mayor turned out to be a warm, lively and fruitful discussion on family, good governance and global digital trends. serve the remainder of the former mayor's term until 2019. 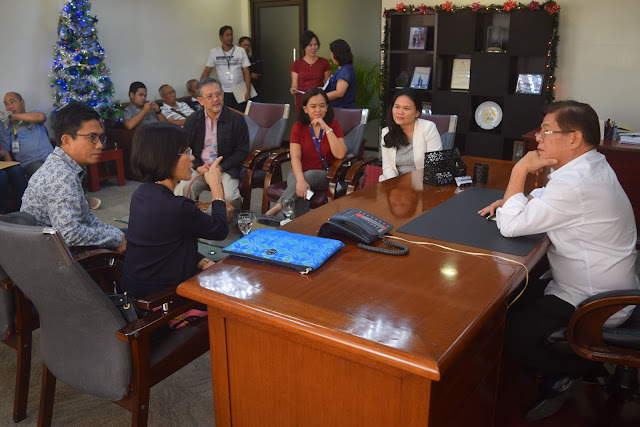 There was an immediate meeting of minds when Dr. Astrid S. Tuminez, Microsoft regional director for corporate, external and legal affairs in Southeast Asia, met with Mayor Jose Espinosa III Friday morning. Tuminez, an Ilongga whose mother hails from Guimaras, has had an established global career and wants to give back to her hometown. On the other hand, Mayor Joe III (as he is fondly called) was found to be a progressive leader, having attended studies in governance in Singapore when he was still vice-mayor. Incidentally, Dr. Tuminez has been based in Singapore for the past nine years and is an adjunct professor in the Lee Kuan Yew School of Public Policy. The itinerary was arranged by Microsoft Partner Highly Succeed Inc. In 2016, Iloilo became the pilot city for Microsoft's Citynext program. The Iloilo City App, (downloadable in the Play Store) was created to help the city government in coming up with an online transaction tracking system (CityServ Application) for the City Assessor’s Office. This allows clients to make transactions such as transfer, reclassification, rectification, and discovery and be able to monitor the status of their requests. Beginning this year and as an offshoot of the December 1 meeting, Microsoft will extend its continuing technical assistance to Iloilo City in the digital transformation of its governance, health and education sectors. “Dr. Tuminez wants to help Iloilo City at no cost for us. 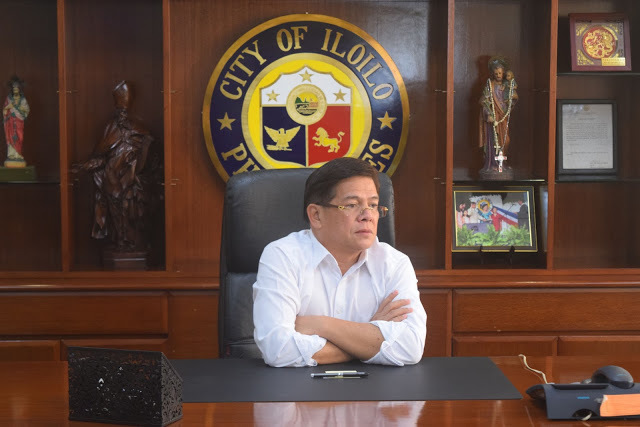 They will be coming up with applications that would make it easier for Ilonggos to access the services of the city government,” said Espinosa. A team from the city government will be working with Microsoft and Highly Succeed to implement the program. Espinosa said the initiative, when implemented, will boost the status of the city which last month was identified by the Department of Information and Communications Technology (DICT) as a potential digital city. 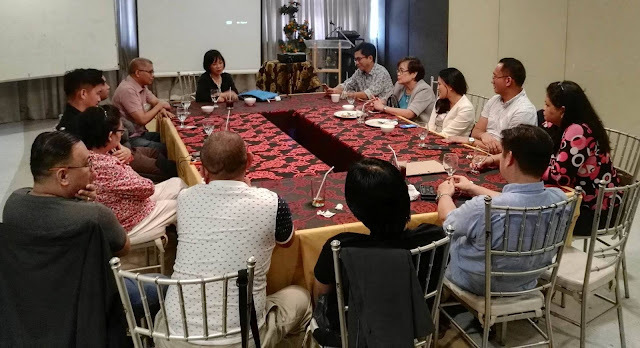 While in Iloilo City, Dr. Tuminez also met with business and IT leaders from the Iloilo Business Club, the Philippine Chamber of Commerce and Industry - Iloilo City chapter, and private and public sector IT professionals and practitioners from academe, the BPO industry and other private enterprises. The private sector was consulted on their current initiatives and was updated on the digital roadmap in the ASEAN region, cybersecurity and more importantly, on The Fourth Industrial Revolution: what it means, how to respond. The day was capped by a courtesy visit to the Iloilo Governor's office where Dr. Tuminez met with Atty. Suzette Mamon, executive assistant of Governor Art Defensor.